Other ingredients: starch, di-basic, calcium phosphate, micro-crystalline cellulose phosphate, cross-povidone, talcum, magnesium stearate, cross-carmelose sodium. 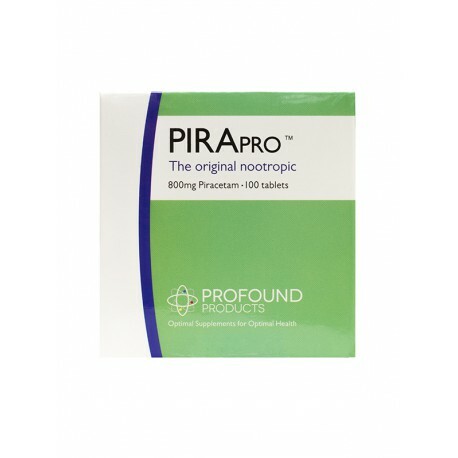 Piracetam is the original nootropic that has been shown to be effective in improving states of short term memory and attention; it is particularly noted for its ability to enhance clarity of thought. Directions: Take 1 or 2 tablets twice daily, or as directed by your physician. Important: Keep in cool, dark conditions, out of the reach of children, and consume before end of expiry date. Not for use by pregnant or lactating women. Note: this product does not contain any GMO substances. It is suitable for vegetarians.